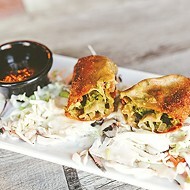 Oklahoma Gazette explores seven of the best food challenges in the Oklahoma City metro. 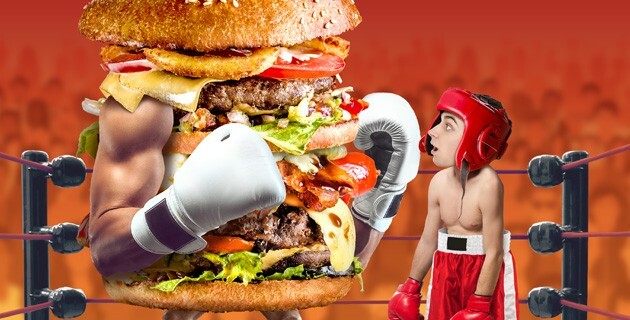 Restaurant food challenges have existed for decades. The earliest known challenge was in St. Louis at Crown Candy Kitchen, which has been in operation since 1913. In more than a century, only about 30 people have successfully finished five 24-ounce milkshakes or malts in 30 minutes. Perhaps the most famous food challenge is down Interstate 40 in Amarillo, Texas, at The Big Texan Steak Ranch, where billboard advertisements have brought in contestants from across the country since 1962. According to the restaurant’s legend, owner Bob Lee wanted to see how many 1-pound steaks his customers could eat. 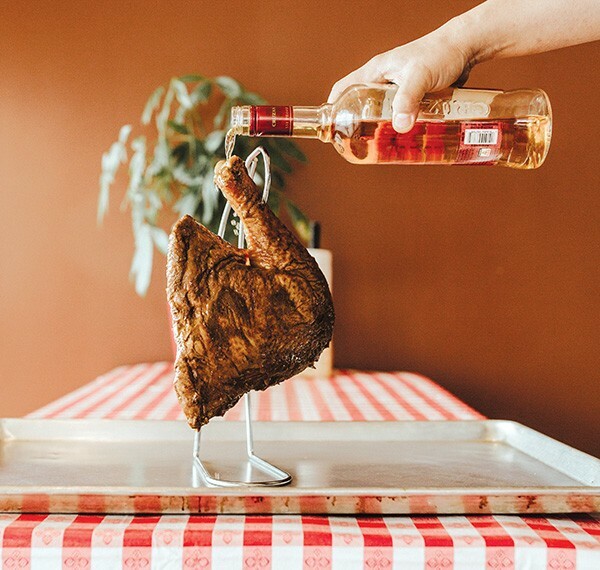 One contestant ate five 1-pound steaks, a baked potato, a shrimp cocktail, salad and a bread roll in one sitting, and the 72-ounce Steak Challenge was born. More than 50,000 people have attempted the challenge. According to Randy Santel, a competitive eater with a popular YouTube channel and holder of many food challenge records — including drinking all five Crown Candy Kitchen milkshakes in 2 minutes and 29 seconds — the proliferation of restaurant food challenges began after the debut of the popular Travel Channel show Man v. Food with host Adam Richman in 2008, which aired for 58 episodes and included another 27 under the title Man v. Food Nation until 2012. Richman visited Oklahoma City in 2010 for Man v. Food, where he featured a pair of area institutions — Cattlemen’s Steakhouse and Sid’s Diner in El Reno — before attempting a fried catfish challenge at now-closed Steak and Catfish Barn in Edmond. 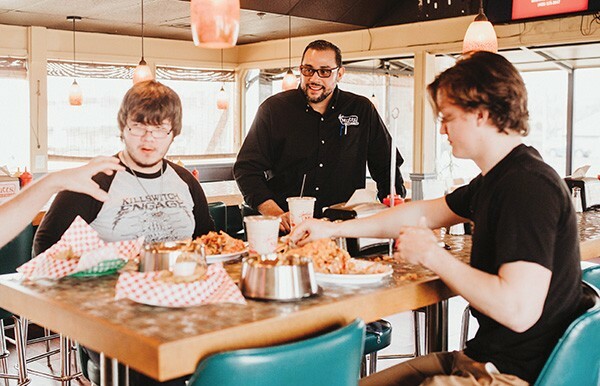 When Richman attempted the challenge, the record for catfish stood at 28 pieces, but it was set at 55 pieces by Tecumseh-based amateur food challenger Robert McKinney, who runs the YouTube channel Food Challenge Bros.
McKinney said he got inspired after watching Santel’s attempts and thought, “I could do that.” McKinney has since bested Santel head-to-head in local food challenges at Papa Angelo’s in Bethany and The Cow Calf-Hay in Edmond. 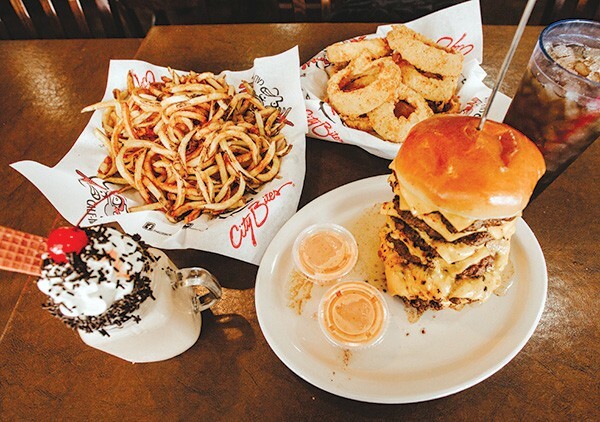 Though Steak and Catfish Barn is no more, Papa Angelo’s Pizzaria’s Empire Challenge and The Cow Calf-Hay’s Six-Shooter Challenge are among the Oklahoma City’s metro’s most popular food challenges. Oklahoma Gazette is featuring seven restaurant food challenges — some of which are yet to be completed — to test the limits of stomachs. Everything at Super Tortas El Chavo is made to-order, from corn and flour tortillas to this massive sandwich that has more than a pound of hamburger, four slices of ham, 10 hot dogs, bacon, pineapple, avocado, grilled onions, jalapeños, lettuce, tomato, mayonnaise and mustard. Manager Jose Trejo said that they added the mega hamburger to the menu about a year ago and it gets ordered about four times per week but is usually split between at least three people. “Someone tried just last week [to eat it by themselves], but he couldn’t do it,” Trejo said with a smile. Oklahoma Gazette was on hand to document McKinney’s attempt to tackle the mega hamburger last week. His hands shook as he tore through the fresh-from-the-grill hamburger. “It’s not a taste in a hamburger you would usually expect; it’s good,” he said. McKinney finished the challenge in just under 30 minutes but noted that he hadn’t done much training in the last few months. If he was in peak shape, he said he would ideally like to finish the same challenge in about 15 minutes. McKinney, who is about 6 feet tall tall and in well-built physical shape, only considers himself a hobbyist as a food challenger. But he said the idea of the bigger the eater, the better the challenger is a misnomer. He said excess body fat prevents the stomach from expanding. 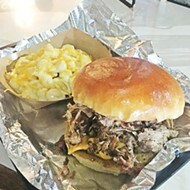 The Six-Shooter Challenge has been available since The Cow Calf-Hay location opened in Edmond in 2010, according to City Bites Group chief operations officer Chris Wolford, who said he was the first person to attempt the challenge. Over the years, the challenge has replaced a slice of cake with a milkshake. The milkshake is key, according to McKinney and Wolford, because it allows the contestant to consume something that goes down easy and breaks up the taste of the burger. Santel owns the Six-Shooter record at 7 minutes and 11 seconds, but McKinney beat him head-to-head on his YouTube channel, where he has completed the challenge twice. Wolford said the six-shooter challenge is typically most popular on the weekends and at dinner. He estimated that about 10-12 people have completed the challenge in 45 minutes. 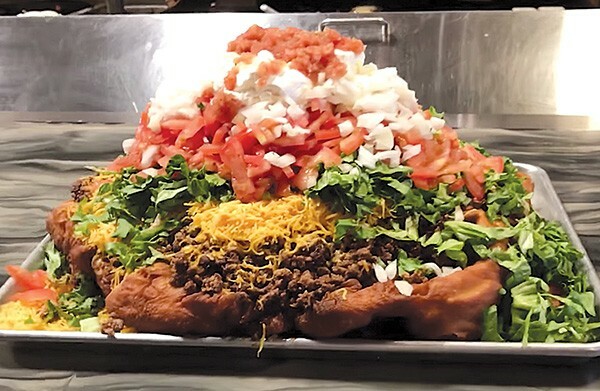 The 13.5-pound Indian taco at The Miller Grill is the largest food challenge in the Oklahoma City area, if not the country. The Miller Grill challenge is unconquered, and it makes some sense, given owner Jason McCormack’s background as a professional eater. He said he was ranked 51st in the world between 2012 and 2013 when he competed in eating contests for everything from fried okra to pulled pork sandwiches. 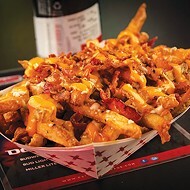 He wanted to bring the challenge to Miller Grill, where even regular menu items are like challenges in and of themselves, when he bought it in 2014. It serves a double-decker cheeseburger with three grilled cheeses for bread and topped with additional fried mozzarella sticks. McCormack said the 13.5-pound challenge very well might be the biggest restaurant challenge in the country, noting that most restaurant challenges are between 4 and 6 pounds. Recently, McCormack has added a two-person option for the Indian taco challenge because it remained undefeated after about 50 attempts. McKinney tapped out of his attempt at the 43-minute mark, with a large section of fry bread remaining. 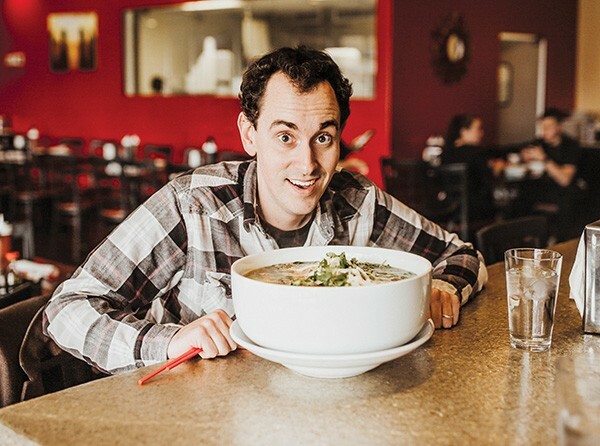 Co-owner David Nguyen said they added the pho challenge to the menu about two years ago after customers who finished the restaurant’s extra large 88-ounce pho asked for something bigger. They based the challenge on parameters Nguyen found in other cities, but after two years, no one has vanquished the pho challenge. “One person was one or two bites away but couldn’t take another one,” Nguyen said. Starting in 2019, they are taking $10 from every challenge entry fee from every uncompleted challenge and putting it in a pot to be awarded to the first person to finish the challenge. I attempted the pho challenge for posterity’s sake and to get a sense of how hard it is to accomplish. While most people think of chicken noodle soup as a remedy for sickness, I’d recommend pho. It’s full of many ingredients like cilantro and basil that are high in antioxidants, as are spices like ginger and star anise found in the broth. I figured it the “healthiest” food challenge. I ate plenty of vegetables — McKinney suggested I eat spinach and spaghetti squash — because its fiber would help expand my stomach. I ate a small breakfast and entered the restaurant around 2 p.m.
No amount of training could’ve prepared me for the challenge because the bowl is larger than a punch bowl at a junior high dance. Nguyen told me to eat the noodles first, which I have since learned was a problem because the carbs expand quickly. I should’ve eaten the protein and drank as much broth as possible before transitioning to the noodles. The other issue is the heat. I burned my tongue early in the process, which would’ve impeded me greatly had I actually been going for speed. Ultimately, I couldn’t eat another bite after about 20 minutes and getting close to a half of the bowl. The hot leg challenge at Deckle Smokehouse BBQ is marinated in the world’s three hottest peppers, doused in 151-proof rum and lit on fire to activate all of the chili oil. Smoked turkey leg marinated in the world’s three hottest peppers: Carolina reaper, Trinidad scorpion and bhut jolokia (ghost pepper). The leg is covered in 151-proof rum and lit on fire to active all of the chili oil. Scoville rating between 1,569,383 to 2.2 million units. Much like Miller Grill, even regular menu items at Deckle Smokehouse are challenges. The restaurant offers a 2.5-pound “bigger than my face” chicken sandwich and a Thunder Thanwich with brisket, pulled pork, sausage, bacon, fried pickles, potato pancake and jalapeños. Those are regular menu items. 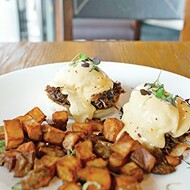 Deckle also offers a three-person champion specialty that requires 24 hour’s notice. Each person must eat a 3-pound sandwich with meat of their choosing and split 3 pounds of beans, seasoned fries and sweet corn for $59.98. Since Deckle opened last year, three people have attempted the turkey challenge, with two ending up on the Wall of Hotness. The challenge is complete with a four-page contract that says the contestant is of sound mind and body and not under the influence. Among other things, it asks if the contestant has a will and says that any increase in sexual performance after the challenge is purely coincidental. Owner Andrew Liu is ambitious after successfully operating a chain of barbecue restaurants in Texas that he sold for its franchise rights. When he moved to Oklahoma, he thought of the smoked turkey leg challenge. Fitting with his theme that bigger is better, Deckle has approval from Guinness World Records on his plans to build the world’s largest gumball machine inside the restaurant. 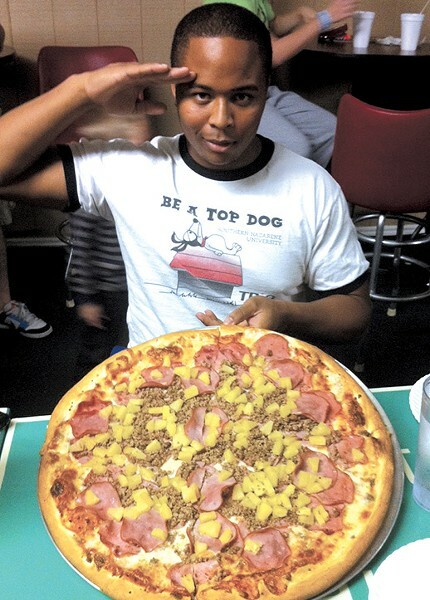 A competitor salutes the camera before attempting the 6-pound Empire Challenge at Papa Angelo’s in Bethany. Husband and wife Joe and Diana DiGiantomasso have operated Papa Angelo’s since 1997. It closed down for a few years and re-opened in 2007 across the street from Southern Nazarene University. The Empire Challenge has been around since 1999, according to Diana DiGiantomasso, and she said someone attempts the challenge a few times per month. In its nearly 20-year history, she estimated that only four to five people have completed the challenge. McKinney holds the record for the Empire Challenge, completing it in 10 minutes during a head-to-head with Santel in 2017. McKinney broke his own record of 12 minutes and 19 seconds. “Papa Angelo’s is the best New York pizza in Oklahoma, no doubt,” McKinney said. Three-foot bacon-wrapped hot dog stuffed with cream cheese, topped with pork and beef chili, caramelized onions, poblano peppers, pinto beans, onions, tomatoes, ancho cream, mustard and crushed Doritos. 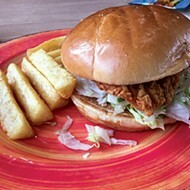 Served with a large side of chili cheese fries, large fried pickles, one cookie and a milkshake. Omar Molina purchased Mutts last year and got the idea to add the Amazing Hot Dog Challenge to the menu last year during a Veteran’s Day celebration while honoring an employee of the month. He said the challenge weighs in at six total pounds of food, and he got the 10-minute time limit based on national averages for other food challenges. No one has finished the challenge during the limit. On a late January afternoon, Robert Ruehl and Joseph Derby are preparing to become the ninth and 10th people to attempt the challenge as friend Michael Ward — a veteran of a 5-pound burger and gallon of pho challenges in Texas — provides support and words of advice. Ruehl is confidant before the food arrives. “The time limit is nothing,” he said. Derby is much more realistic. 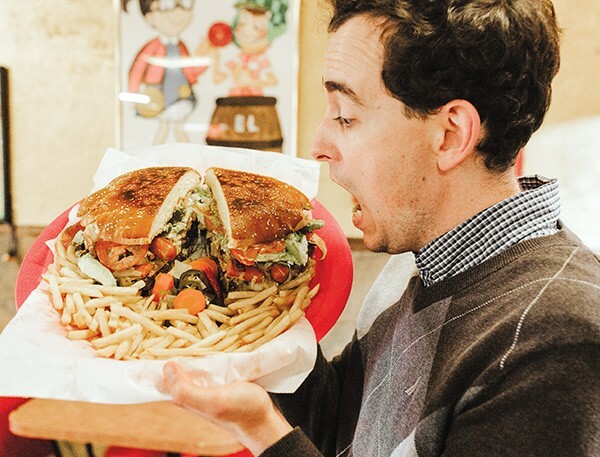 “I want to see if I can eat the whole thing, even without the time limit,” he said. The 10 minutes goes by faster than Ruehl was expecting. He finishes a little over half of the hot dog without touching either the fried pickles or chili fries. Derby eats nearly three-quarters of the hot dog. “I’ll gladly admit defeat,” Derby said when asked by Molina if he wanted to continue. “I’m crazy, but not suicidal,” Ruehl said in response to the same question. Molina said the challenge has attracted new customers and has been well received, despite having no one complete it in time.